Padraig Harrington anchors his belly putter at Quail Hollow. Picture: Eoin Clarke www.golffile.ieThe R&A and the United States Golf Association (USGA), golf’s governing bodies, today announced the adoption of Rule 14-1b of the Rules of Golf that prohibits anchoring the club in making a stroke. The new Rule will take effect on 1 January 2016 in accordance with the regular four-year cycle for changes to the Rules of Golf. Rule 14-1b, which was proposed on 28 November 2012, has now been given final approval by The R&A and the USGA following an extensive review by both organisations. The decision to adopt the new Rule came after a comprehensive process in which comments and suggestions from across the golf community were collected and thoroughly considered. We’re betting it will lead to a huge debate over the future of the rules. 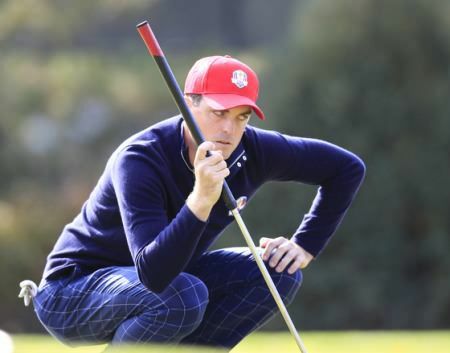 Keegan Bradley at the Ryder Cup in Chicago. Picture Eoin Clarke/www.golffile.ieGraeme McDowell believes the growing tension between the PGA Tour and golf’s governing bodies over the proposed anchoring ban could decide who really runs the game of golf. Padraig Harrington anchors his belly putter at Quail Hollow. 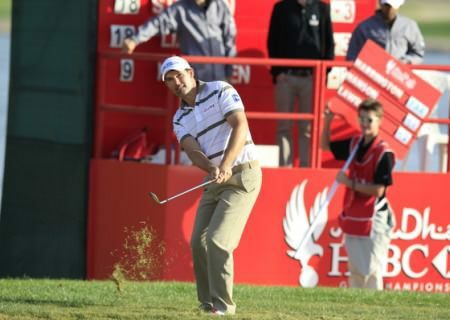 Picture: Eoin Clarke www.golffile.ie.Less than a year after insisting that the anchored putting stroke was wrong and needed to be banned Padraig Harrington put his career before his ideals and used a belly putter in competition for the first time today.